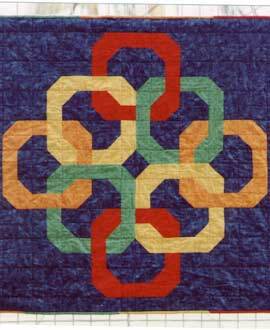 What fun you will have making this interlocking link wall hanging in your favorite colors. You can choose either a light or dark background fabric. Price includes shipping and handling.